On a dark rainy we are on the road. 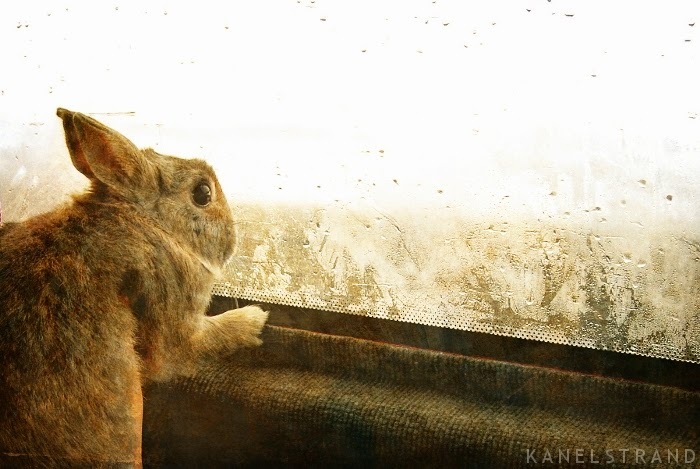 Muffin Rabbit is peeking through the misty window, trying to figure out what's outside. He's an experienced traveler.